So, you’re building a turbocharged 5.0 Mustang and need an ignition to light off that boost. This is going to need a bit more spark than the stock system, so you set about looking for a good coil. But a coil per plug system isn’t in the budget, and our IGN-1As don’t work particularly well in a distributor application. You find a monster of a coil on a popular ignition company’s catalog that looks like it should fit the bill. The catalog recommends using this with their ignition box, but right now you just have the funds for the coil. The box can come later. But after you wire up the high performance coil, things get worse. You find the engine starts breaking up at a much lower RPM than it did with the stock coil. Did you get a bad performance coil? Maybe not – let’s have a look at the physics of what’s going on. In this equation, E is the energy, L is the primary inductance of the coil, and I is the current through the coil. The “I” number can be limited by the amount of dwell time available and the current capacity of the ignition module. 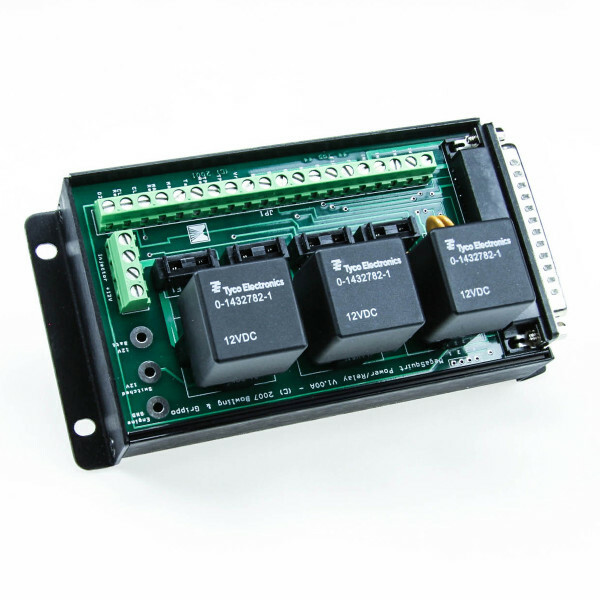 A decently hot ignition module, such as ones based on the Bosch BIP373, can handle around 8-12 amps, while the ignition module in our IGN-1As has a maximum current of 19 amps. A distributor based ignition may not be able to deliver all that current at maximum RPM, particularly on a V8, while a wasted spark or sequential coil on plug engine often has enough time to hit maximum current all the way to redline on anything except all out racing two stroke motors. Primary inductance for a good street coil can be 4 to 8 mH (millihenries). If you’re using a 6 mH coil with an ignition module that goes into current limiting at 8 amps, you end up with 1/2 * 6 * 8 * 8 = 192 mJ energy stored in the coil. The coil isn’t 100% efficient at converting this into a spark, but that’s a respectable amount of energy there. Note that it’s likely to fall off at high RPM. A V8 spinning at 6000 RPM will have 2.5 milliseconds to fire the coil per spark event. If we assume this imaginary 6 mH coil has a 1.0 ohm primary resistance (a good performance coil will be lower), and needs 0.5 ms in between sparks, we’ll only get 3.4 amps through the coil at 6000 RPM. 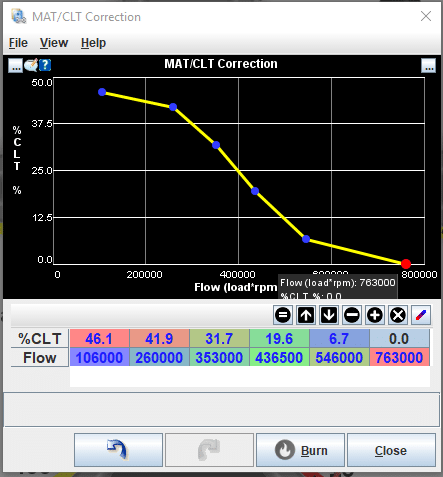 (See the MegaManual dwell calculator for a useful calculator with resistance, inductance, current, and dwell time.) Our spark energy has dropped from the 192 mJ to 34.68 mJ. That’s one of the problems with inductive ignitions – their output falls off at high RPM if you use them with a distributor. Now, let’s look at the sort of coils that you typically recommend for use only with a CDI box. These can have a primary inductance in the range from 0.25 to 1.0 mH. Suppose you grabbed a hot CDI coil with a 0.25 mH primary inductance, and pair it with that same ignition module that has a 8 amp primary current limiting. This time, you wind up with 1/2 * 0.25 * 8 * 8 = 8 mJ of energy in your coil! Even at maximum RPM, you’ve cut your spark energy to less than a quarter of what you had with your old coil. So, at this point, you may be wondering what good it is to pay extra for a heavy ignition coil that gives you less spark. The answer is that a CDI coil was never designed to store energy in a magnetic field to begin with. Instead, a CDI ignition stores energy by charging a capacitor to around 400 volts, and the coil simply acts as a transformer to step up the voltage in the capacitor. With no energy storage requirements, making the coil’s inductance and resistance low lets it transfer the spark energy faster, making for the hot, short sparks that CDI ignitions specialize in. It is possible to design a coil for CDI applications that still has a high enough inductance to work with an inductive ignition. And a coil optimized for inductive ignitions will typically work with a CDI reasonably well, as long as the coil doesn’t have the ignition module built in. But a coil that’s completely optimized for CDI often ends up being nearly useless if you pair it with an inductive ignition module, whether it’s our QuadSpark module or your typical stock automotive ignition module. This problem doesn’t just strike with trying to upgrade coils on a distributor. This often surfaces when you have an older motorcycle with a CDI ignition and want to place the coils under computer control. Many motorcycle CDI coils will not give a good spark unless you pair them with a multi-channel CDI ignition. Often, it’s cheaper just to swap out the coils to a set of inductive coils that you can run with one of our QuadSpark ignition modules, or a set of modern pencil coils with built-in ignition modules. If you’re looking for an ignition upgrade, always remember that your coil and your ignition module are designed to work as a system. If they’re not well matched to work together, you can end up with a system where the whole is less than the sum of its parts.